2010 January 30 Steve Nguyen, Ph.D.
Visionary: this is best when an organization needs a new direction. The aim is to move people towards a new set of shared dreams. Leaders communicate where a group is going, but not how it will get there. This way, people free to innovate, and experiment. Coaching: this style focuses on developing others, showing them how to reach their goals and improve their level of performance. One warning is that too much hovering over an employee might, instead, be perceived as micromanagement. Affiliative: stresses importance of teamwork and connecting with others. This style is not good to use by itself because it tends to emphasize group praise allowing for poor performance to go uncorrected. Democratic: this style works best when the organizational goal is unclear and the leader needs to tap into the feedback and wisdom of the group. This style is counterproductive in times of crisis, however, when quick, decisive decisions are needed from leaders. 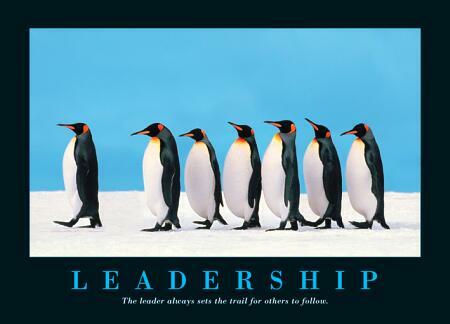 Pacesetting: leader sets a high expectation of performance. But it must be cautioned that using it too often can result in lower employee morale because employees may feel that their work is never good enough. Commanding: while this military style is the most often used, it’s also the least effective. It leads to lower morale because there are more criticisms and less praise. Without a strong vision of leadership, managers may display a leadership style that is too affiliative (e.g., unable or unwilling to address poor performance), too democratic (e.g., lacked ability to make decisive decisions), or too pacesetting (e.g., worked employees to death but never happy with their performance).